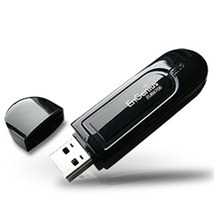 EUB9706 is an 802.11n wireless client adapter. It supports both 2.4Ghz with high performance. It applies 2T2R architecture with full compatibility with IEEE 802.11n and backward support for legacy b/g APs.EUB9706 is definitely the optimal choice for both SOHO and business users.